Yesterday I wrote about our meeting in Spain. The house we stayed in is near a Cistercian monastery, founded in the 12th century. The original cloisters, refectories and other rooms have been restored and are open to the public, and the church used for Mass (the community now lives in a 19th century addition). One afternoon one of the monks gave us a guided tour, cheerily and enthusiastically explaining things and answering all our questions. We were also charmingly greeted by the abbot, and joined the monks for vespers. The plain plainchant poignantly recalled their brave doomed confreres at prayer in Of Gods and Men, which I watched on Good Friday (here). The monastery is beautiful: seeing it, in such good condition, made me realise just what architectural treasures we in England have lost thanks to the dissolution of the monasteries. 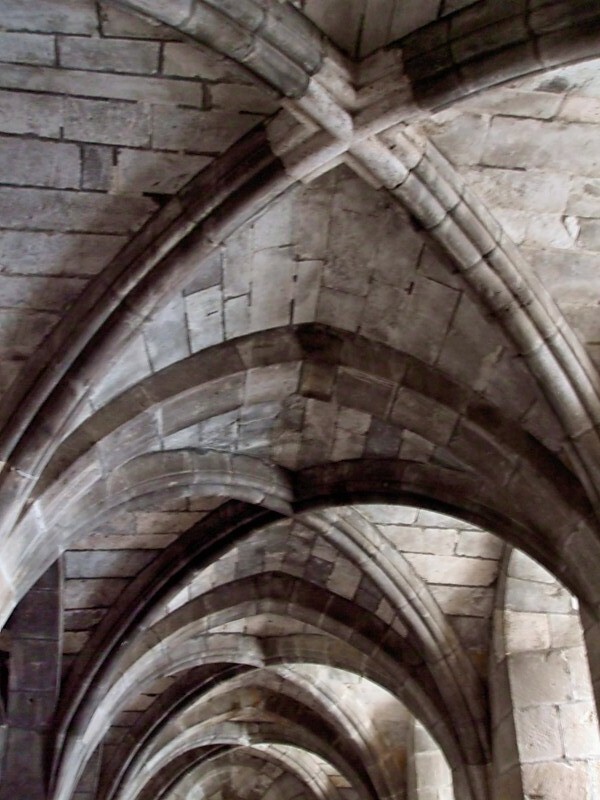 What was especially striking were the stunning vaulted ceilings, not only in the cloister and refectories, but even in the kitchen - and, we were assured, there was even decoration up the inside of the chimney! 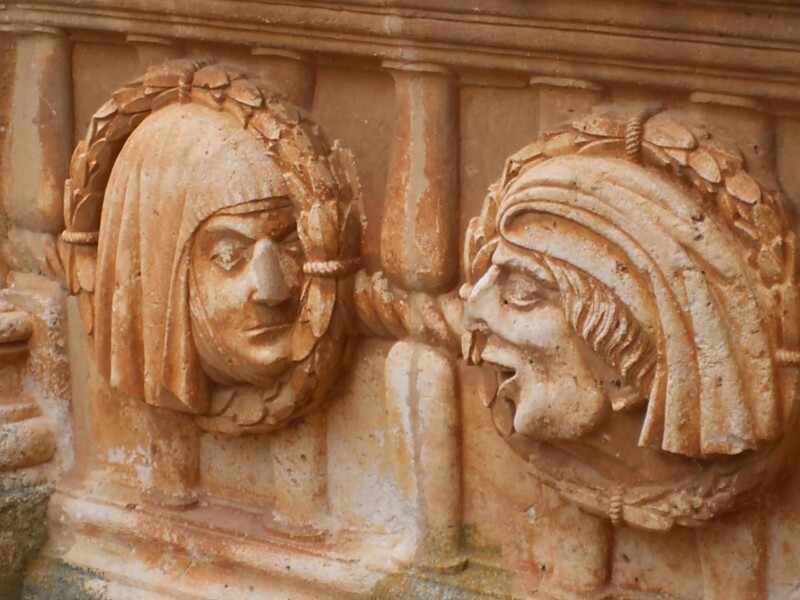 As if that wasn't enough, the first floor balcony around the cloister was adorned with carved heads, symbols and fancy pillars, and here and there were niches edged with intricate tracery. We were shown the choir loft, currently being restored. 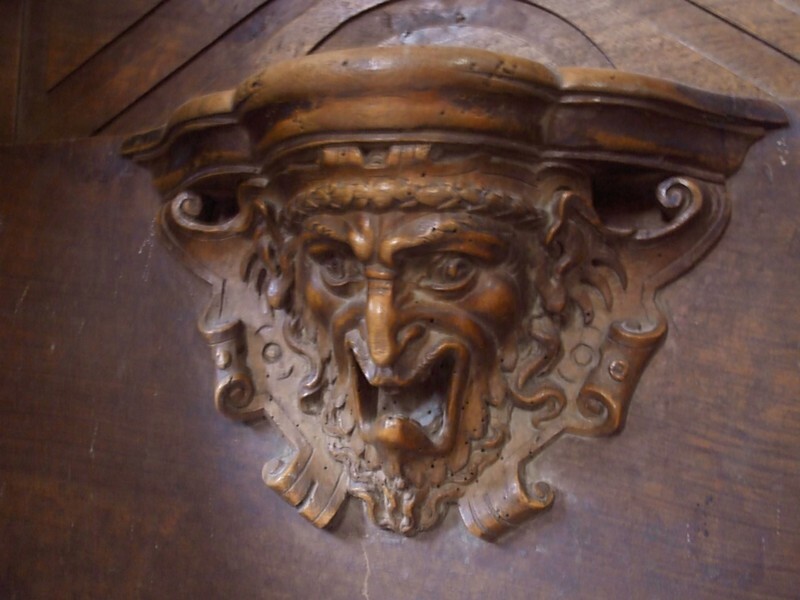 The wooden renaissance stalls were decorated with carved animal heads and figures which Freud would have enjoyed analysing! And yet, apart from these stalls, all the adornment was above head height, or at least required specific staring on the monks' part. Lower walls and floors were quite plain, according to St Bernard's teaching regarding minimal visual distraction, to keep the monks focused on God. So why those ceilings and carvings for men whose monastic rule would have stipulated "custody of the eyes", ie eyes kept lowered, to facilitate inner silence and recollection? Why go to all the trouble of creating vaulted ceilings for men who were not supposed to look at them? What a dilemma! The obedient monk would never have raised his head, would only have looked at drab, plain walls, but thereby kept the rule - and, hopefully, his inner composure. The disobedient monk would have feasted on beauty when he needed to, may have felt his heart and soul being lifted; but in so doing, he broke an important rule. 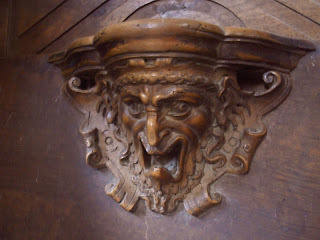 As if life wasn't hard enough, the stonemasons and carvers added this temptation on top of all the others! I've been thinking of those poor monks in light of today's feast of the Transfiguration. The Gospel tells us that, after the glory and the shining splendour had faded, when clouds, heavenly voices and prophets had disappeared, when all had returned to drab normality, the disciples raised their eyes, and saw only Jesus. Ordinary, everyday, non-glorified Jesus, the man they had come to know and love, and in whose following they were gladly spending their lives. I really do hope those mediaeval monks raised their eyes and drank in the beauty above them whenever they needed to - and that they didn't then beat themselves up with guilt and penance afterwards. I hope they could see and experience the divine in those ceilings, could feel Jesus touching them, raising hearts and minds heavenwards. That's certainly the effect this beauty had on us, almost a thousand years after its creation, and I'm sure it was what the craftsmen who so lovingly and skilfully created it must have hoped for. thank you, Sylvana. I have reaad with real interest the account of your time in Spain and of your visit to the monastery. It made me think of Richard Rohr's words that religion is for regulation or for transformation. I hope the monks chose transformation over regulation.